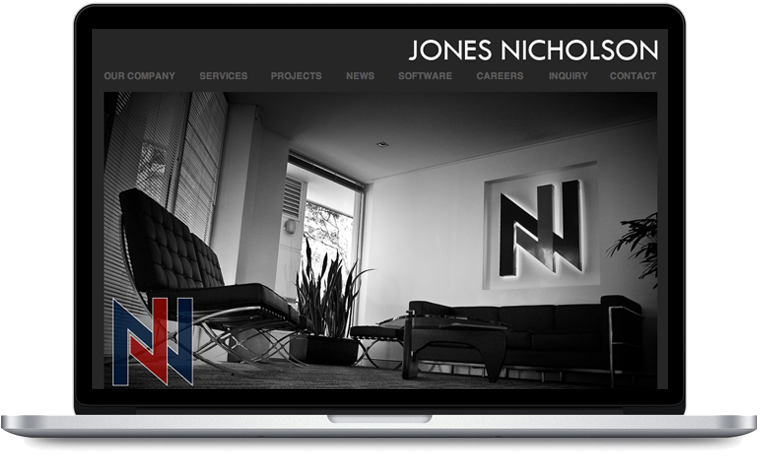 Jones Nicholson was after a redevelopment of their website to bring their brand into 2012 with a bang. To create a strong new website that was project and news focused, while linking in different aspects of their business with corresponding projects. The design was developed by Jones Nicholson in house and we completed the development and integrated the new design. Our approach was to focus on the development side to link in all the aspects of the business to the corresponding projects. We also integrated a wordpress blog to help manage and maintain the news section on the website. We launched the Jones Nicholson website in 2012 and they were very happy with the result as we were.